During our livestreams with ROV SuBastian, you may see the ROV pilots and scientists request and obtain a variety of samples. These can include water, sediment, rocks, and occasionally live animals such as crabs, corals, shrimp, etc. While it may look like chance, lots of planning goes into these dives and sample collecting opportunities. The pilots and scientists are experts and selective in what is collected – these are not decisions made lightly or impulsively. Scientists often go through stringent permitting processes that weigh the amount of new knowledge that will be obtained against any impact caused. 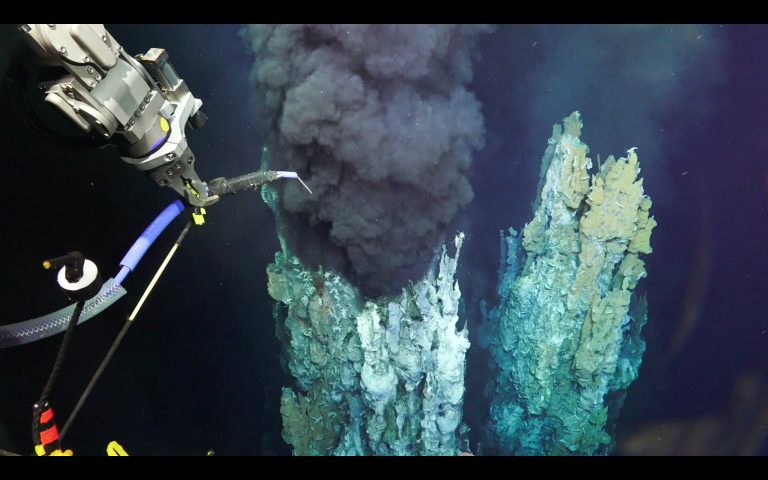 ROV SuBastian takes a fluid sample from a black smoker chimney (Hydrothermal Vent) during an expedition in 2016. While the marine environments that we sample are remote and sometimes fragile, they, too, are changing from animal, weather, and geologic processes. For example, hydrothermal vents are found in areas of tectonic activity with frequent closing and opening of vents in recurring sequences. Our sampling, measurements and observations do little to change the environment as these settings are characterized by constant changes and activity. To clarify the terms here, “samples” involve some form of material extraction, “measurements” result in numeric values, and “observations” produce either some sort of imagery or interpreted information. Samples can be used in many ways to obtain all kinds of information; everything from genetic identification to ancient sea level records. The areas from which we obtain samples are very remote and hard to get to. The samples collected during each cruise, therefore, can provide information that is pertinent to scientists all over the globe. There are many criteria such as diet, life span, reproduction and growth that can only be determined by a live specimen; this knowledge can help assess risk of extinction. Samples not only provide a baseline to be able to compare future changes, they offer insight into the past. For example, a scientist can drill samples out of a coral skeleton and get information about ocean temperatures for past time periods. 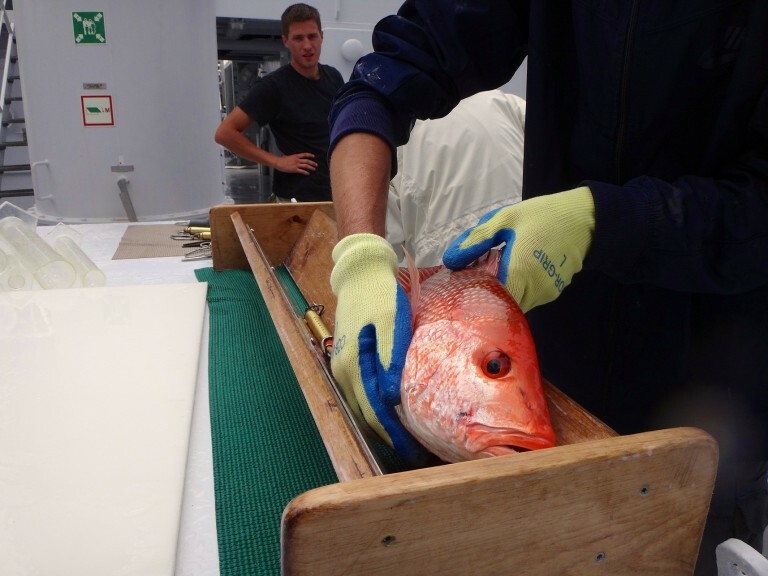 Preserved specimens also provide verifiable data points for monitoring long-term changes in species health and distribution. 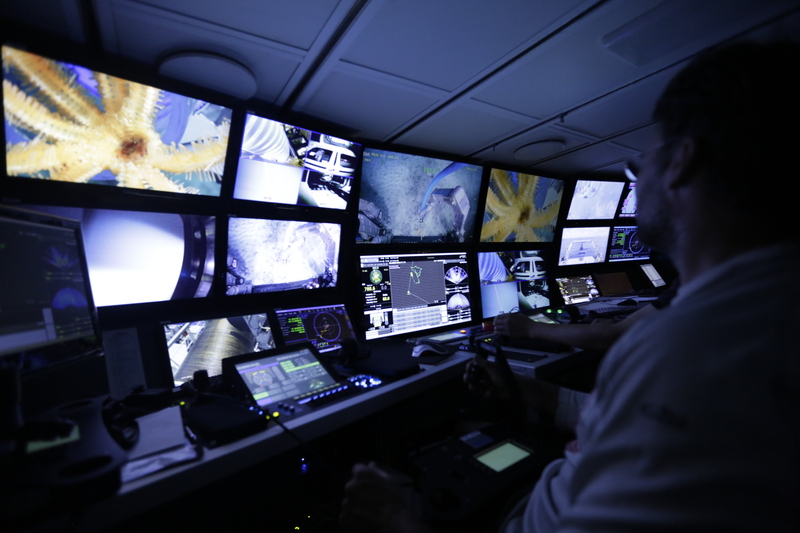 High definition video taken with ROV SuBastian has little to no impact. This footage is recorded and made publicly available on our YouTube page so that anyone can use it. Having footage like this makes it possible for others to visually assess a reef or vent area without the expense, time, or logistical challenge of traveling to that location. One of the reasons we enjoy working with ROVs is that they allow for a variety of highly targeted sampling techniques. Not only do we obtain video, but also water, sediment, and species samples, as needed. Each sample taken is done with extreme accuracy and the smallest amount needed is extracted from the environment. ROV SuBastian’s high-resolution cameras allow the pilots and scientists to see what is needed, and precisely target specific samples. This minimizes bycatch (the incidental capture of non-target species) and is the most exact approach we currently have. Schmidt Ocean Institute has high standards for operating in remote and fragile environments as well as protected areas. The goal of each expedition is to advance our understanding of these locations in order to better protect them. Below are a few of our guidelines that we keep in mind during our research expeditions:We avoid research activities that have deleterious impacts on the sustainability of any hydrothermal vent or coral reef organisms. We avoid activities that could lead to long lasting alteration or degradation of marine ecosystems such as vent sites or coral reefs. We only take collections for essential scientific purposes that will be publicly shared. We avoid transplanting biota or geological material between sites. We try to ensure science teams are familiar with any other planned research in the region and avoid activities that will compromise experiments of other researchers. We ensure that activities are known to the research community through public domain databases. We facilitate the fullest possible use of all biological, chemical, and geological samples collected through collaborations among the global community of scientists. 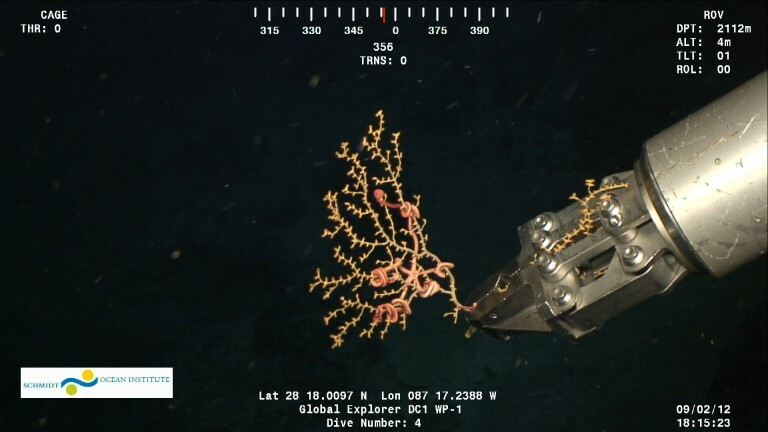 To learn more, we suggest visiting the InterRidge statement of commitment to responsible research practices at deep-sea hydrothermal vents webpage.